Fossil is currently on Twitter telling anyone who will listen that it's in the process of pushing Android Wear 2.0 to its watches. Apparently the pace of updating will pick up tomorrow (March 15th) and will be done by the end of March. I'd tell you to start obsessively checking for updates, but Wear 2.0 isn't anything to be excited about. 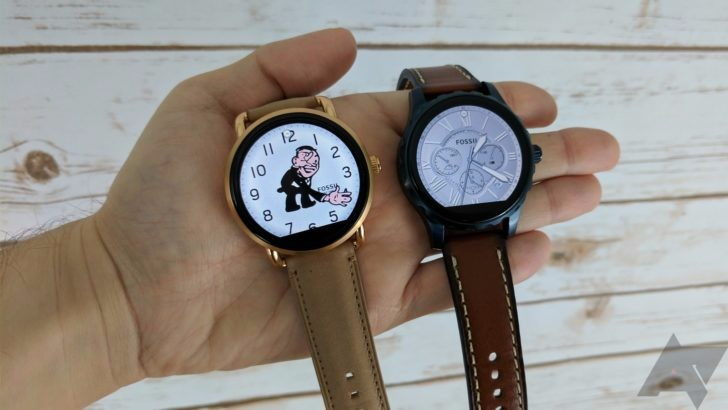 All of Fossil's existing Android Wear devices will be getting the update. That includes the newer Q Wander, Q Marshal, and Q Founder 2.0. The original Q Founder will be getting the update too. Android Wear 2.0 adds better watch face selection and customization, an on-device Play Store client, and revamped notifications that are vastly more difficult to use (in my opinion). Fossil has not made any sort of singular announcement about the OTA, it's just replying to people on Twitter... a lot. Here are just a few of the replies. @NicoNeum911 We are hoping that 2.0 will be available for all devices before the end of March. @deepst7 The roll out has begun and will hit our Gen 1 devices first. The 15th is the date that remaining devices should receive the update. @AyymericM We have began rolling out the updates. We appreciate your patience as we work to reach all devices. And so on. If you don't have the update today, it sounds like you should be able to pull it down tomorrow. In some cases, you might be stuck waiting until later this month as the rollout continues.